Brand new, real theater seating. The Smart is a versatile auditorium theater chair perfect for a large variety of venues. 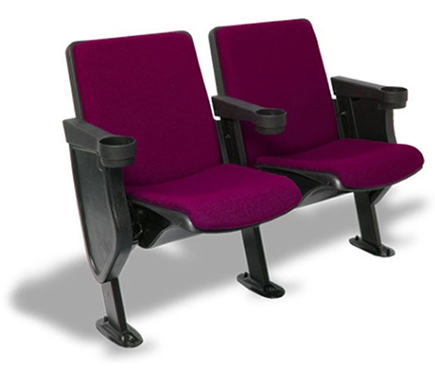 Can be used in Cinemas, Theaters, Performing Arts Centers, Screening Rooms, Media Centers, and as Home Theater Seating. The generous widths (21 to 23-inches) provide spacious comfort. This Smart Fixed model of theater seating has a ‘low back’ height (only 32 1/2-inches);this is great for rooms with line of sight issues. Scratch and dent resistant poly rear-of-back panel and seat bucket. Commercial grade upholstered on the chairs back and seat cushion. 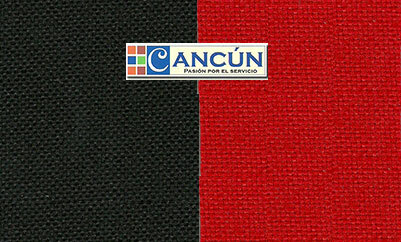 (We strive to keep Black and Red upholstery fabric in stock at all times). The cup holder located in the armrest provides a convenient place to keep your drinks close at hand. 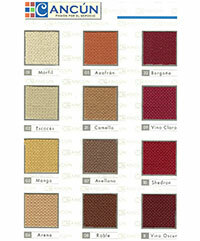 Decorative aisle / end panels are available. Monday through Friday 9AM to 5PM EST to place your order. Small quantities are not a problem. We can sell you just one chair if you would like. Perfect as home theater seating. There is a price break for orders over 12, and again for orders over 25 chairs. Call for volume discount prices. We accept Visa, MasterCard, Checks, and PayPal. 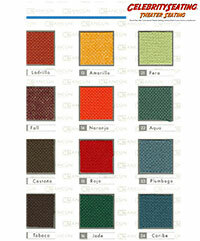 When calling us to order: Please provide us with the number of chairs you would like, the row configuration (how many chairs in each row) you need, and the fabric color you would like. Also, please inform us if you would like end panels. If you do not know how many chairs will fit in your seating area, please give us a call, and we will be happy to help you with that, free of charge. Don’t know if this model of chair is right for you? Give us a ring, we can help you with that too. The above 'per chair' price is based on a row configuration of 5 chairs. The above shipping price is based on an order of 20 chairs. Call for a shipping quote before you order. Short row fees of $19 per chair apply to rows of 2, 3 or 4 chairs. Prices are subject to change,due to shipping, fuel and material costs. Please call for a price quote. Current manufacturing turn around time for seats upholstered in red and black fabric is only 10 to 30 business days, plus shipping. Call for exact turnaround time. 5-Year Manufacturers warranty against defects in workmanship. to choose from! Click on pictures to see more. Recommended back-to-back spacing: 38 inches or more. Additional space such as 40”or 42” etc. allows for more legroom, more comfort, and more egress room. The chairs come partially assembled. Some assembly is required. The backs are already put together. The seat bottoms with their cushion and bucket are already put together. The chairs legs, with its armrest and foot, cheap fifa coins are already put together. All you have to do is attach the back and the seat to the legs. The screws to do this are included in the hardware that you receive. The hardware used to attach the chairs to your floor or base, however are not included. You must obtain them locally. During assembly you have a choice as to what angle / recline, you would like your chair backs to have. There are 2 or 3 holes in the top of the seat back’s metal wing. Depending on which hole you use, your chairs back will be upright, or reclined. Need help with your layout? Please call us; we would love to help you at no charge.